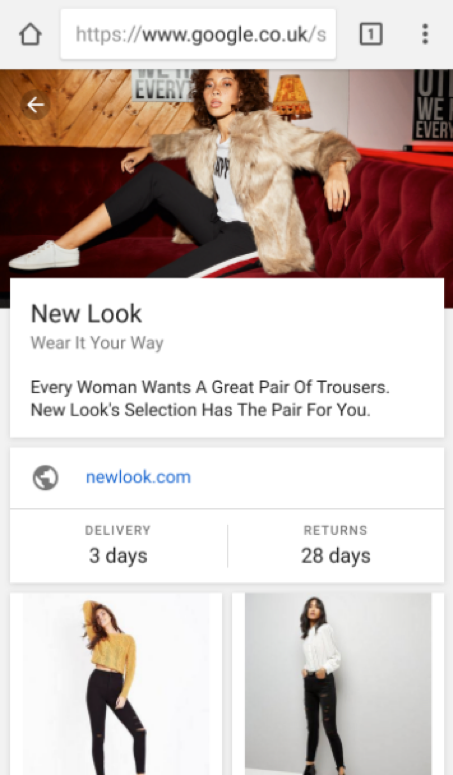 Great news for all Google Shopping Advertisers. 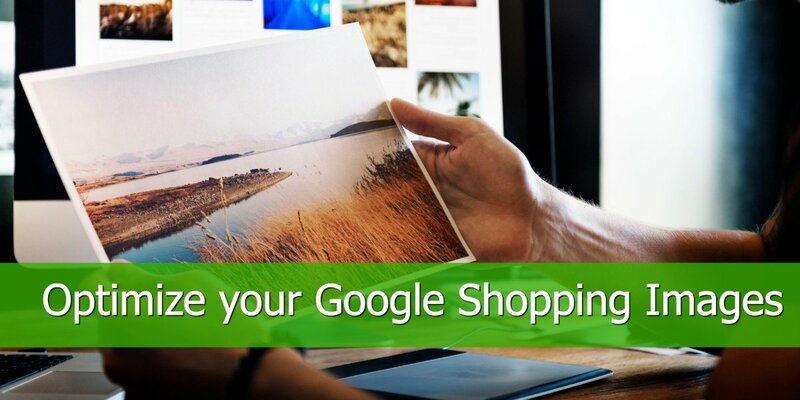 Now you have a new advertising weapon in your Google Shopping arsenal – Showcase Ads. Showcase Shopping ads act like a store window display, introducing your brand to the customer and showing them the types of products you have available. They appear in the same high-profile position as Product ads, plus they are visually impressive, but this is not where their real power lies. We have talked about this feature in the past here and here, but now it has been finally introduced to a number of territories where it helps merchants generate more sales. So, sit back, pour yourself a cup of coffee or tea, if that's your thing, and enjoy this post. Here’s what they look like on a Google search results page. They appear in the Google Shopping part of the search results page. When the searcher clicks or taps on the ad, it expands to show information about your brand or business. The searcher sees the products you offer too and can scroll through them. They can then click through to your website when they find something they like. 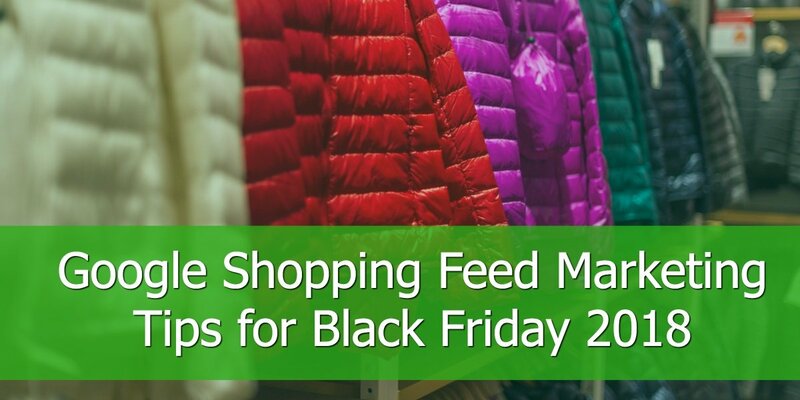 In other words, Showcase shopping ads appeal to the intent of the searcher. 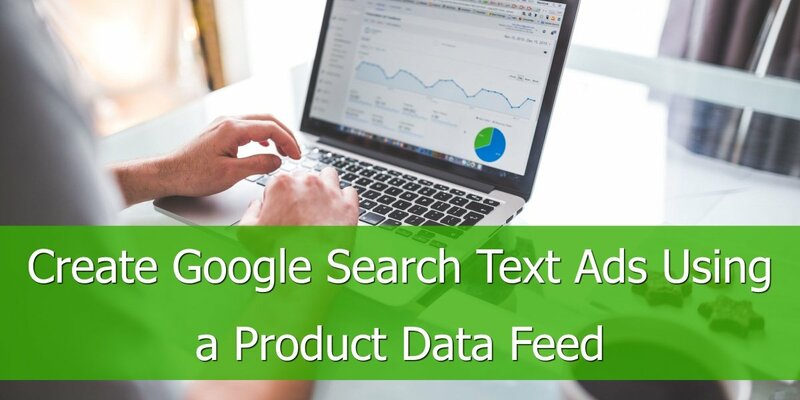 Searchers using commercial but non-branded and non-specific keywords are looking for information, inspiration, and details about their options. When they look at your Showcase Shopping ad, they get all this and can then continue their research by clicking through to your website. Product Listing Ads vs. Showcase Shopping Ads? Showcase Shopping ads are not a replacement for your Product ads. Therefore, don't drop your Product ads for Showcase ads. The two types of ad are different in appearance but, crucially, they target a different set of users. Showcase ads are for people who are not yet sure what they want whereas Product ads are for when the user starts to narrow their search. In other words, Showcase ads are for educating people about your brand, the products you sell, and the options available for their broad search term. Showcase ads also open the possibility of you targeting broad keywords as well as increasing your conversion rates for those keywords. This makes them worth trying out. 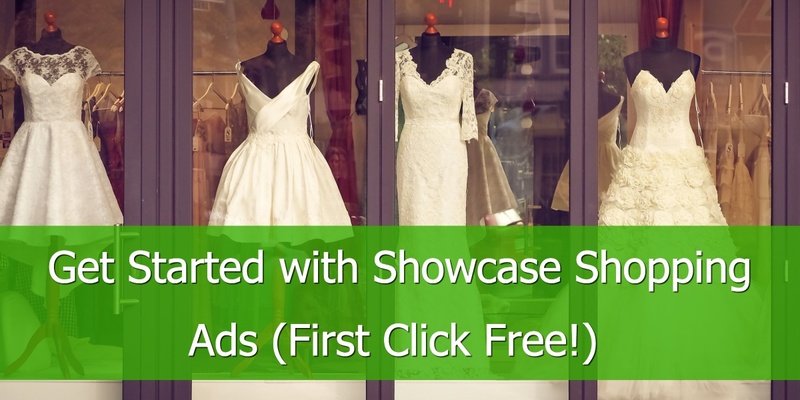 Why Should you use Showcase Shopping Ads? 1. Ideal for broad keywords – Showcase Shopping ads are the best advertising tool Google has for merchants to target broad and general keywords. 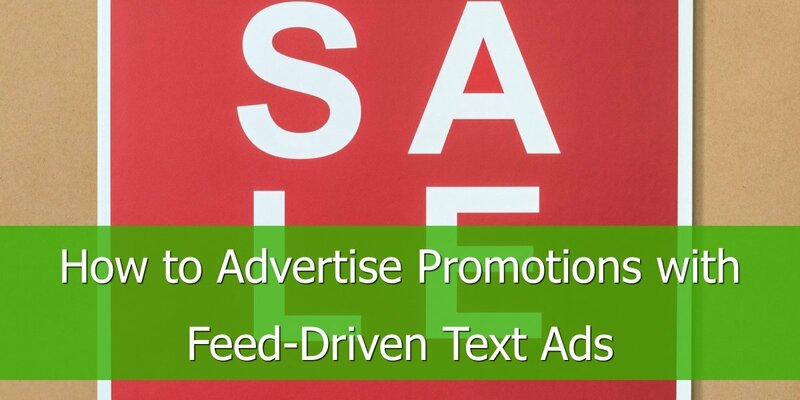 Showcase ads are effective because of the type of search terms they target. After all, not all commercial searches are suitable for Product ads. 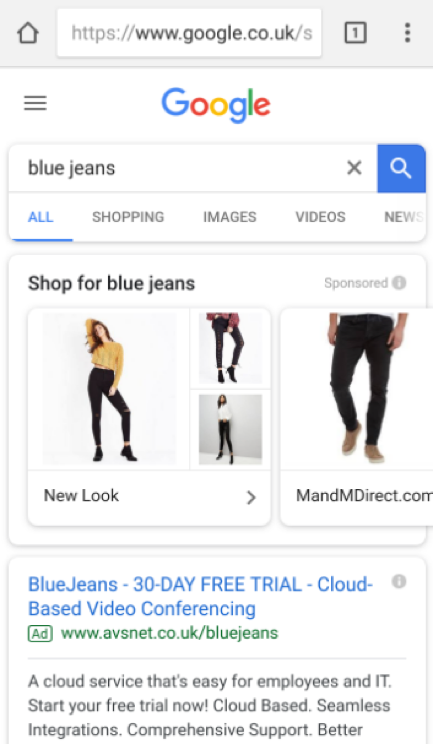 A search for “blue jeans” is a good example. 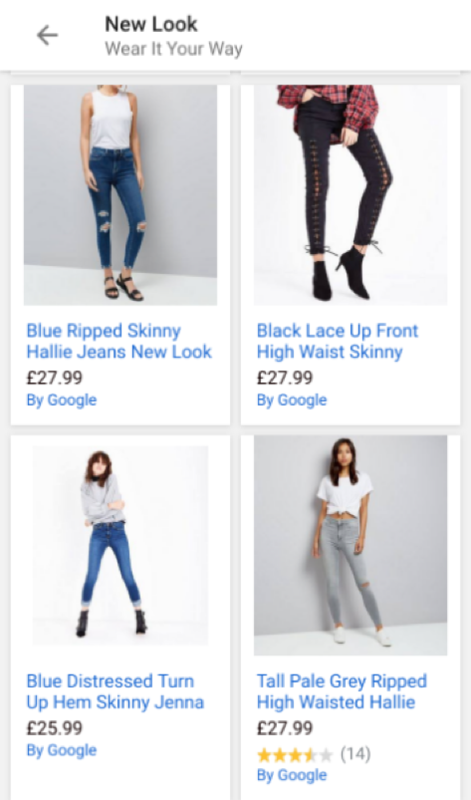 This search term doesn’t give any indication of the type of jeans the searcher is looking for, the brand, whether the jeans are for a male or female, the size, or anything else. In the example above of blue jeans, a Showcase ad doesn’t have to show a specific product. Instead, it can feature all the jeans and other clothing the retailer sells. This encourages the potential customer to narrow their search on your website and to shop with you. 2. You are in control – this is because you select which products appear in your Showcase Shopping ads. 3. Enhances brand recognition – Showcase Shopping ads are a great way to introduce your brand and business to potential customers. They show the customer the range of products you have available as well as other information about your brand. 4. You get tools to optimise performance – Showcase ads feature full analytics which let you analyse performance, conduct tests, and optimise your campaigns. Let’s look at each of the above in a bit more detail. Firstly, Google is rolling out the new AdWords experience gradually. If you don’t have it yet, you will need to wait until you do. You’ll know you have the new experience if the tool icon in the upper right corner is a spanner. If it’s a gear icon, you are still on the old experience. In terms of location, Showcase ads are currently available in the following countries: Australia, Canada, Germany, France, Ireland, India, New Zealand, Singapore, South Africa, the UK, and the US. To meet the requirements for setting up Shopping campaigns, you need to ensure your ads adhere to the policies of Google Shopping. How to Create Showcase Ads? 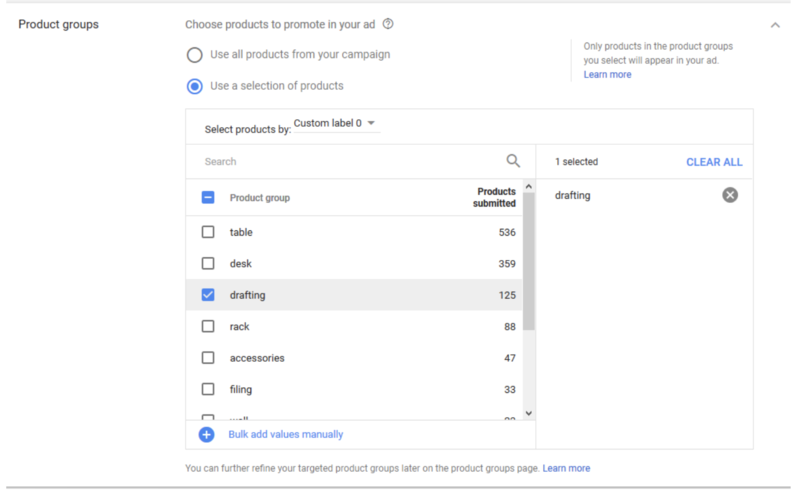 It is best to add all your products to the ad group and then narrow this down when you create Showcase ads. You can also subdivide and/or exclude sets of products in your ad group. What Should you be Aware of When Creating Showcase Ads? The first thing you should be aware of is how you are charged and how bidding works. Your bid for Showcase Shopping ads is per engagement, i.e. you pay every time someone engages with your ad. This is known as CPE – cost per engagement. In other words, the user’s first click (to expand your Showcase ad and show your list of products) is free. You only pay if the user then engages sufficiently with it to meet one of the above two criteria. Next, you should consider the importance of images in Showcase ads. 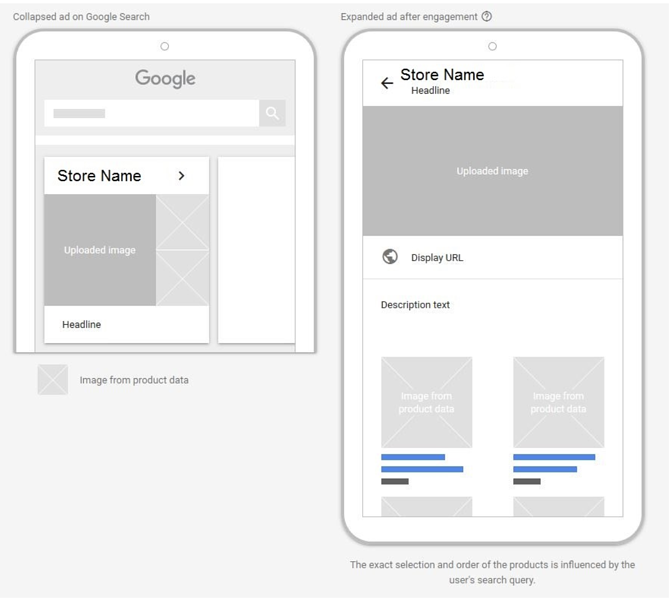 Of course, images are important in Product ads also, but they are particularly important in Showcase ads. Remember, people who see your showcase ads will be at the very early stages of their search. You need to get their attention and then encourage them to click. In addition, you should not make your image about a specific product as it might be one the user is not looking for. So, what makes a good image for Showcase ads? Use a lifestyle image, i.e. an image of your product in use.